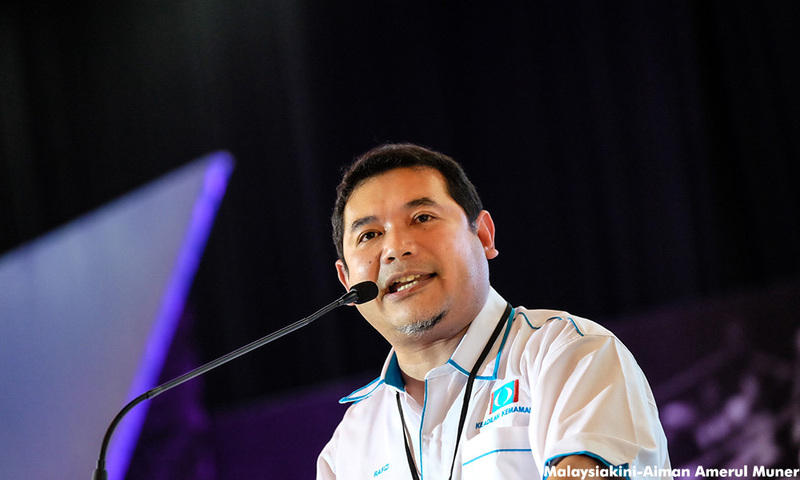 Ten days ago, PKR vice-president Rafizi Ramli appealed for public donations to help him settle the RM300,000 he was ordered to pay in damages and cost related to National Feedlot Corporation's (NFC) defamation suit against him. This evening, the Pandan lawmaker announced he had collected a whopping RM1,585,014.49, which is five times more than the amount he was required to pay. The donors, he said, came from all walks of life. “Of the 5,135 contributors whose details are available, 1,575 are Malays, 2,903 are Chinese, 348 are Indians, 40 are Sabah bumiputeras and 91 are Sarawak bumiputeras. “About 2,300 people contributed anonymously at the cash deposit machines that we are unable to identify them,” he added. Rafizi said there were also MPs from PAS who walked from the left flank of the Dewan Rakyat to pass cash donation in full view of the house, despite the rift between PKR and PAS. “In one of my campaign stopovers in Temerloh last week, an elderly lady passed a RM20 stapled with a note of encouragement,” he added. Rafizi said he was touched by the many different ways and the circumstances through which the contributions were delivered. Explaining his decision to provide a detailed breakdown of the source of donations, Rafizi said Malaysians need to know that collectively, people from all walks of life abhor graft. "Over the last one week I saw Malaysians of all races, religions, economic and social classes come together for one purpose: to send the message that they would support anyone who stands up against corruption," he said. He said RM300,000 from the funds raised would be given to his legal team to comply with the court order while the balance would be used to fund Invoke's ongoing campaigns in "50 marginal seats". "The largest chunk of this goes to pay the salaries of the 80 plus staff around the country who work quietly behind the scene to win these 50 marginal seats," he said while assuring that there will be transparency because the public will have access to Invoke's quarterly financial statements. In October last year, the Kuala Lumpur High Court ruled that Rafizi had defamed NFC for accusing the company of "using government funds as leverage to gain loans for eight properties". Following this, Rafizi was ordered to pay NFC boss Mohamad Salleh Ismail RM150,000 and RM50,000 to NFC. The judge also awarded costs of RM100,000.